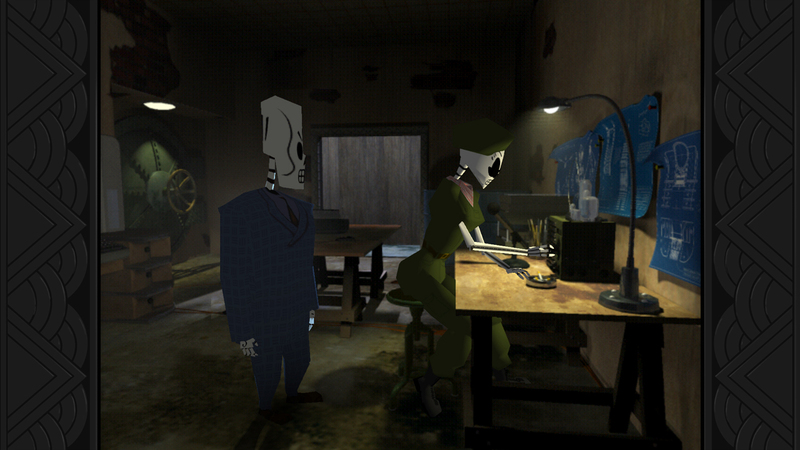 It feels strange to be sitting here, writing a review of Grim Fandango. It’s one of the first adventure games I ever played and less than a year ago I was poised to write a Graveyard piece about adventure gaming’s most beloved commercial failure, but then Sony and Double Fine surprised us all by announcing an HD Remaster at E3 2014. Now that I have the game in my hands, I’m more than a little impressed. 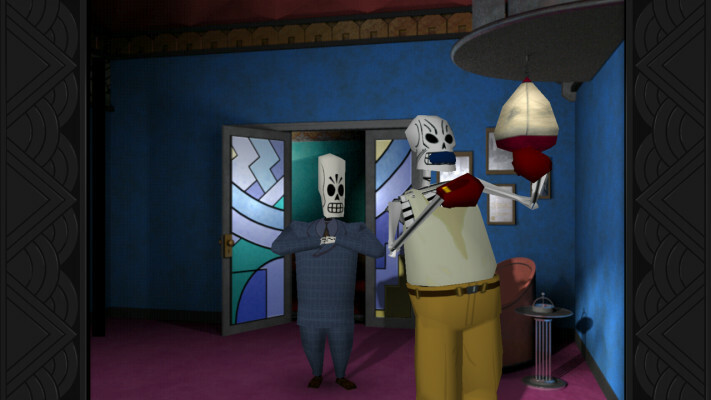 With improved lighting and textures, entirely re-orchestrated music, and reworked controls, Grim Fandango Remastered is better than the original in almost every conceivable way. That’s really saying something for what’s considered by many to be the greatest adventure game of all time. Seventeen years on, this is still one of the most original and well-written plots ever put to polygon. Tim Schafer is one of the funniest writers in the game industry, and the dialogue here brims with clever one-liners, but it’s his mastery of character writing that makes the game truly come alive. Manny is among the most charismatic leading men in gaming, a Hispanic Humphrey Bogart in a cheap suit who approaches most challenges with a confidence rarely seen in adventure protagonists. His best friend and mechanic, Glottis, is a literal speed demon, driven by a single-minded obsession with driving and prone to bouts of hilarious melodrama. Throughout their journey the pair encounter dozens of characters, from conniving a mobsters to a idealistic revolutionaries, each one memorable in their own way. Strong voice acting helps to bring the characters to life across the board, but in particular Tony Plana’s dry wit as Manny and Alan Blumenfeld’s overzealous insanity as Glottis earn a lot of laughs. 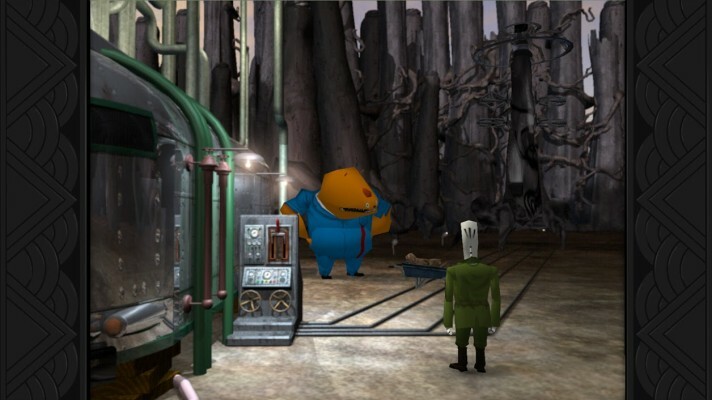 Good writing is the tentpole that holds up any adventure game, but it helps that Grim Fandango is stitched together from a fabric of inventive and challenging puzzles. Whether you’re clearing a roof of pigeons, tricking out your Ed Roth-inspired hot rod with shocks, or trying to steal company secrets from the mail room, you’ll need to think on your feet and use your intuition in order to succeed. By and large the game strikes a good balance between challenging and guiding you as a player, though there are some points where it fails miserably. Puzzles that require exact timing or positioning are finicky at the best of times, and often require irritating repetition to complete. Fortunately, such puzzles are few and far between, and the rest of the game plays host to some solid headscratchers. 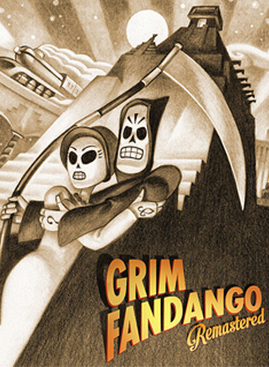 Grim Fandango deftly combines aspects of Mexican artwork with Art Deco architecture and a spot-on pastiche of Film Noir to create a wholly distinctive style – one that has held up incredibly well over the last 17 years. The gorgeous backgrounds contain a mix of 50s industrial equipment, Aztec temples, and Art Deco facades, pre-rendered from 3D models with frankly irresponsible poly-counts. Character models are largely based on traditional Mexican Calaca dolls – a style that lends itself perfectly to the crude polygonal art of the late 90s. This remaster adds dynamic lighting to the mix, which serves both to blend the 3D characters more seamlessly into the environments around them, and to better affect Film Noir’s cinematic sensibilities. The influence of the genre has always been apparent in Grim Fandango’s cinematography – not to mention its jazzy, cinematic score, which sounds great coming from the Melbourne Symphony Orchestra – but that effect is enhanced further by harsh lighting and heavy shading. One of the more notable aspects of Grim Fandango’s design at the time of its release was its control scheme, which uses Resident Evil style tank controls in place of a traditional point-and-click interface. Rather than guiding Manny to objects from afar, players steer him through the game world and interact with them directly. Tim Schafer would be the first to admit that tank controls don’t work, but direct control has become the norm in adventure games – especially the work of Telltale – and this new version gives him the opportunity to steal the best ideas from the games he originally inspired. Grim Fandango Remastered now features camera-relative analog controls, which make getting around a lot more intuitive than it once was. 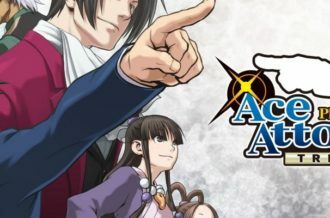 On top of that the Vita version of the game features touch controls (similarly, the PC version allows you to play it as a standard point-and-click adventure), but though they work, they tend to make the world feel less immersive, and they’re absolutely useless in any scene requiring quick action. 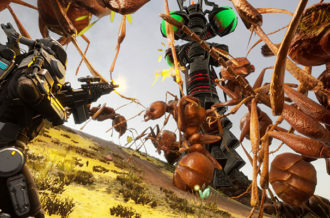 Even with the direct control scheme, quickness isn’t exactly Grim Fandango Remastered’s strong suit. 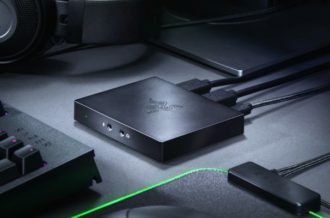 Noticeable load times between scene or even camera changes make the action drag, a problem further exacerbated by slow menus. Manny’s inventory is represented by his hands shuffling through his coat pockets – a nice aesthetic touch to be sure, but the brief animations whenever he pulls something out of his pocket add up to the point that they become nearly interminable, especially in multi-item puzzles. 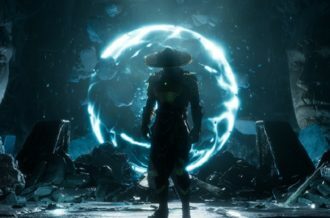 Playing in remastered mode causes a significant dip in the frame rate, and while that doesn’t actually slow the game down, it does make it feel even more sluggish. 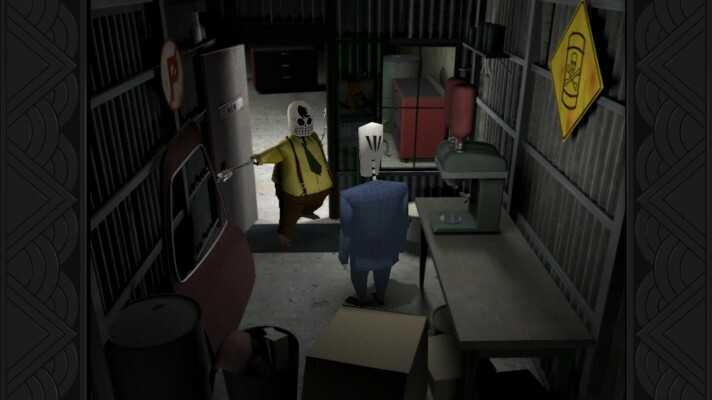 Saving your game takes a solid thirty seconds each time, and you’ll need to save often since Grim Fandango doesn’t feature any sort of autosave. At one point I lost nearly half an hour of playtime when I opened my menu at the wrong moment (during a scripted scene) and the entire game froze. Were it not for these issues Grim Fandango would be well-suited to portable play, but as it stands I’d strongly recommend playing it on more powerful hardware. The entire adventure genre owes a debt to Grim Fandango. 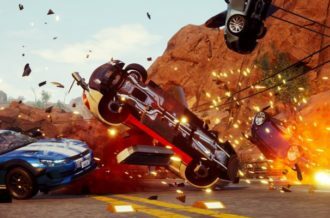 It pioneered the immersive, cinematic gameplay that would later be used by the likes of Telltale and Quantic Dream, and its quality writing and puzzle design set a high bar that almost every adventure to follow would strive to meet. Yet even seventeen years on it still stands taller than just about every other game that built upon its foundations. Aesthetically speaking, almost no game of its era has aged quite as gracefully, and even with the remastered visuals turned off it still looks great. Whether you’ve played it before or you’re coming in completely fresh, Grim Fandango Remastered provides an unparalleled opportunity to experience one an all-time classic.